photos and memories preserved on GlescaPals for future generations. She took me along cc1959 to Sunday School & I joined the Shipmates of the 175th BB. I was very young & I loved it! I progressed to the Lifeboys and then the Company section, all at Dalmarnock Cong. BB Band History : In the 2nd February 1885 William Smith wrote to a local newspaper telling them they had organised a band which was making remarkable progress, this was a flute band consisting of 16 performers. 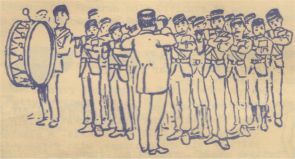 The idea of BB bands caught on very quickly and the BB Annual Report for 1885/86 shows there were five flute bands in existence and only two years later the Annual Report for 1887/88 reported 35 bands - 25 flute, 2 bugle, 4 brass and 4 pipe bands.all this from only 220 companies then on the roll. Of the Boys Brigade is the advancement of Christ's kingdom among boys and the promotion of habits, obedience, reverence, discipline, self respect and all that tends towards a true Christian manliness. 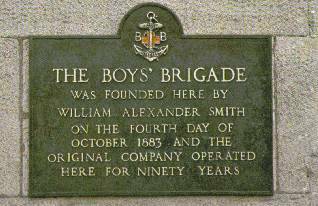 In October 1883 William Alexander Smith, an officer in the 1st Lanark Rifle Volunteers and a teacher in the North Woodside Mission Sunday School founded the 1st Glasgow Company of The Boys' Brigade. 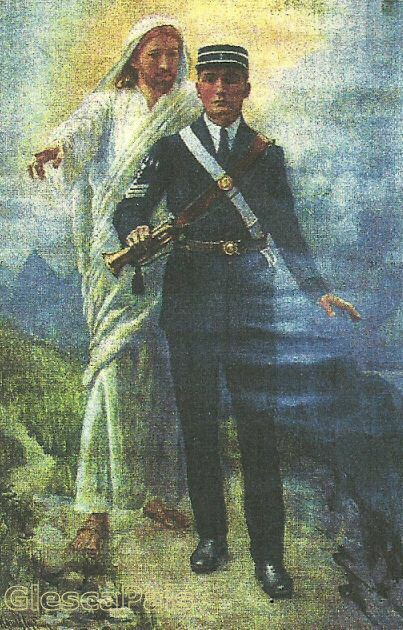 He brought to this new and novel experiment the things he knew from the Volunteers; Military Drill, rifle exercises ( but only with dummy rifles-shooting has never been a Brigade activity), club room, football, cricket, sport, camp and the band, so giving the boys the opportunity of doing things that were out of reach of most working class families.